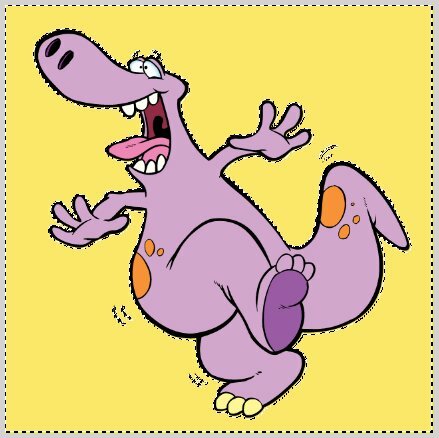 Perhaps the thing I most often use the Gimp for is to remove a background. It is quite simple and fast once you are familiar with how to do it. This tutorial will focus on just the basics. 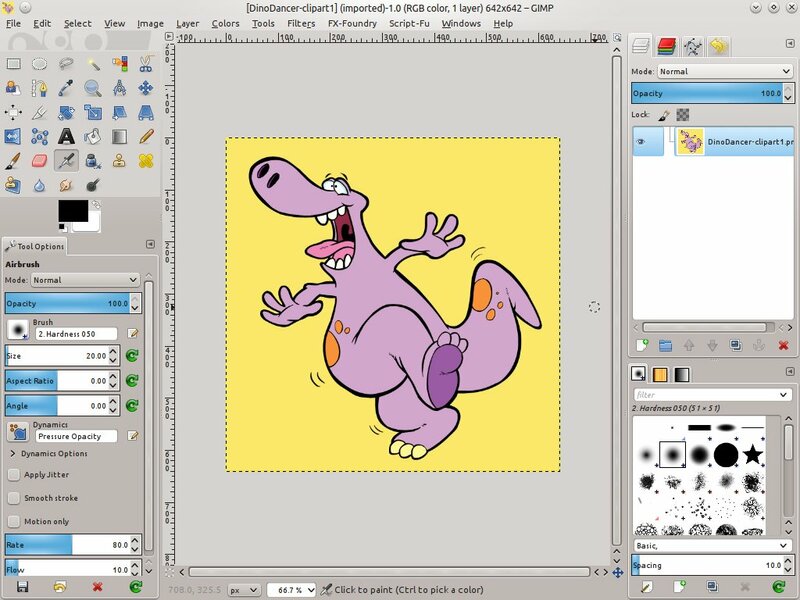 It will show how to remove a single color background (this is the easiest way to remove a background). 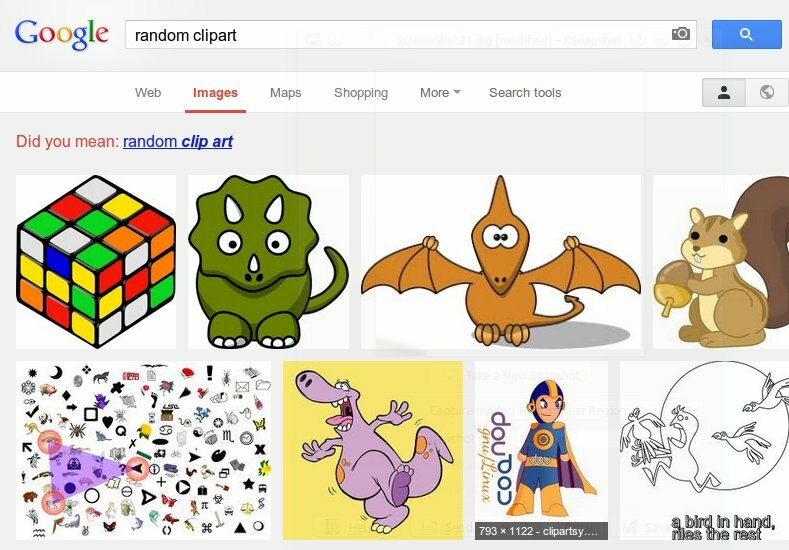 I just did a quick Google search for "random clipart." Here is the image I ended up using. Here is the image we are working with. 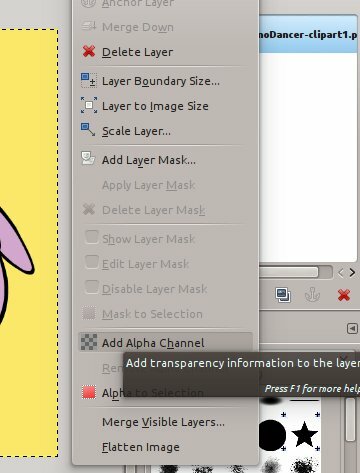 On the right side of the window, you will right click the layer and "Add Alpha Channel." 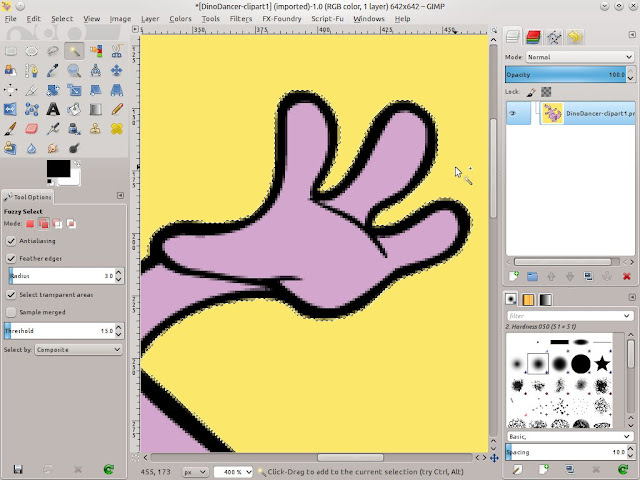 Once you have the image you want, you will open it up in the Gimp. The very first thing you will want to do is "Add Alpha Channel." 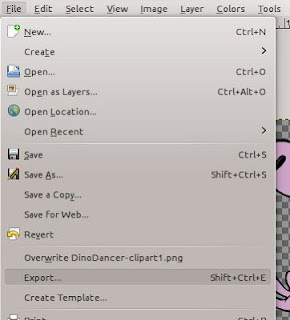 You will get this option by right clicking on the image layer (found on the right side of the Window). 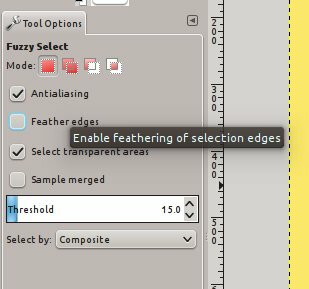 After we have selected the tool, I like to go to the tool options and enable "Feather edges." Feathering edges is what gives us a nice smooth object. If we do not feather the edges, the edges of our object will be pixelated and will not look good. 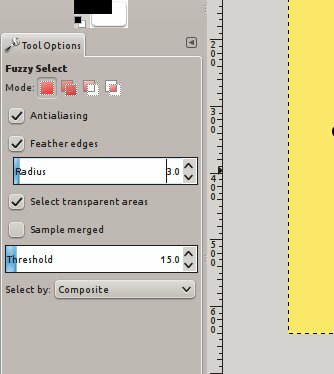 Feathering edges gives you an option to adjust the radius (this determines more or less how smooth the transition will be). A general rule of thumb is that the larger your image is, the higher you will want the radius. Because the image I am editing is quite small, I turned the radius down to 3. After we have adjusted the radius, we can now select the background. This works very well because the background is a consistent color. If you are looking for clip art online, it is wise to be mindful of the existing background. You can save yourself a lot of time if the background is a consistent color. You can now see that the object is selected. The black and white dashed lines (marching ants) represent the area that is selected. 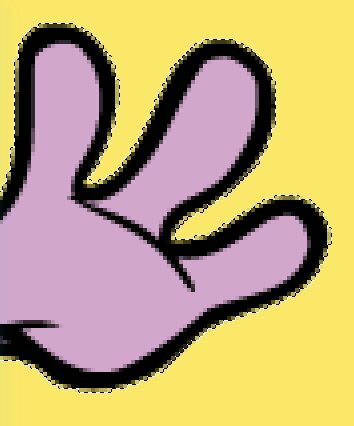 In this picture you can see a closeup of the hand. Notice how the marching ants go around the black of the hand. 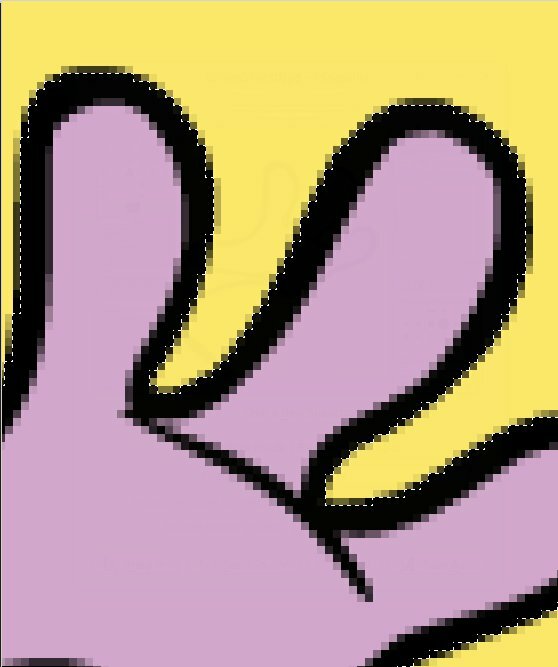 Many of the pixels still have a dark yellowish color to it though (this is a feathered edge. The transition between two colors). This would look a bit weird if I put this image on a white background. To get rid of this, I want the selection to be a bit closer/tighter. To do this, I will press and hold the shift key while I press the selection again. When you press shift, you should see a + sign next to the magic wand (fuzzy tool). This means that it is expanding, or adding to the selection. 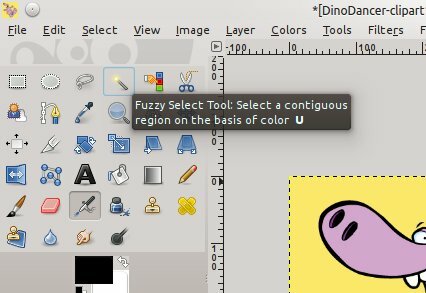 Using the shift key (adding to the selection) is especially important when you have a background that is not a consistent color. This allows you to select all the ranges of colors. Now that I have added to the selection, you can see that the selection no longer includes yellow pixels. Once you are satisfied with the selection, you can simply press the delete key. This will delete anything that is selected (note; if it becomes white at this point, it is because you have not added the alpha channel I talked about in the first step). If you want to remove the selection to look at your image without the marching ants/outline, you can go to "Select" and "None" (or just press Shift+Ctrl+A). 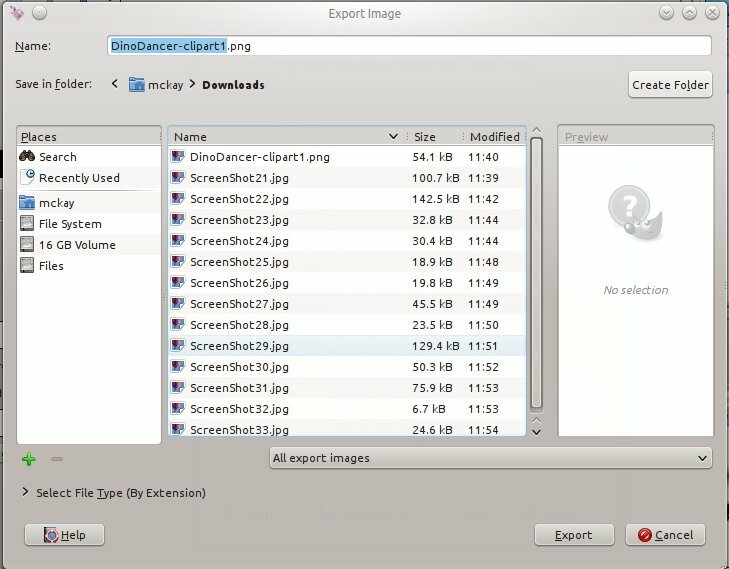 We now want to export the image (Shift+Ctrl+E). Make sure you export the image as .png (or gif). If you export it as .jpg the background will be white. JPGs do not allow transparency. Thanks for the comment Syed. It's a great work you have done. I am also working on that field. When I want to remove background from the image most of the case I use photoshop. Of course you can with photoshop, but I think GIMP is also perfect. Actually I made with photoshop but not GIMP. 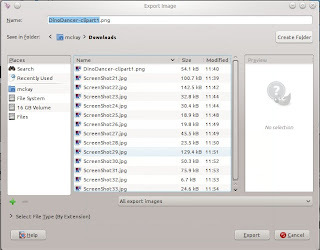 But above we observe that plenty awesome tutorial provided with awesome creativity that how to remove with gimp. Loved this tutorial. So helpful. Thank you! Thanks for your comment. Glad it was a helpful tutorial! Hey Thanks for the post McKay. You are very welcome. Thanks for your message! Could you be more specific? Is your background a solid color? how to put it in another background? Open up the background in another window in Gimp. Select all (Ctrl+A) to select your object, then go to the background window and Paste (Ctrl+V). 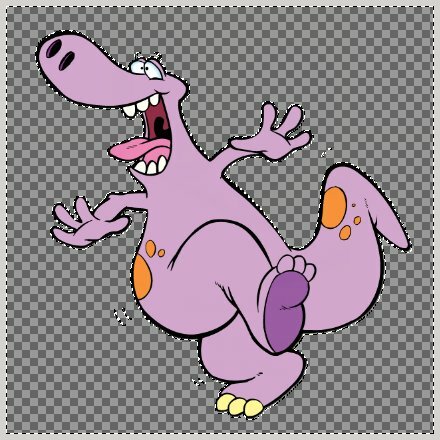 When I do this the selector tool is taking out part of the image I need to keep, how can I add those parts back in? The outline of the image is perfect, but it has removed some of the interior white parts that are part of the image. Thanks! Now that I have deleted the background to my image, I can't seem to figure out how to get the fuzzy tool outline to go away so I can do a little finishing work with the eraser tool. I noticed that you got the outline to go away somehow. Help! Hey Gary, to remove the selection (outline) you can press ctrl+shift+A - This deselects everything. I should have included that in the tutorial. Thanks for your comment, I will update this tutorial to mention that. How excellent tutorial and it's very effective guy . So much thanks for this here . Very useful and effective post . Always i'm searching such educative post . Thanks for shared . Very effective and useful article. I was finding professional background removal services provider but after seeing your post I can remove background easily. Very useful post everything mentioned properly how can remove the background image from Photoshop. THANKS a lot for your tutorial.This is really so nice.But the cartoon is so funny,ha ha. Hello McKay, First of all I wanna give you a great thanks for your such a informative and practical tutorial. I'm using pen tool for remove background from image in my PC. But this GIMP is very easy and effective with my smart phone. You have made it easy for me. Thanks again. Thankful to you forever. Thanks for this awesome post. It is helpful for me bcz I have no idea about Gimp, I Know about Photoshop and it is easy to me to remove background from an image. Thank you so much for your useful tips. I really liked this.